A full-service vehicle detail shop, opened at 9743 Cincinnati-Columbus Road/SR42 at West Chester Road. 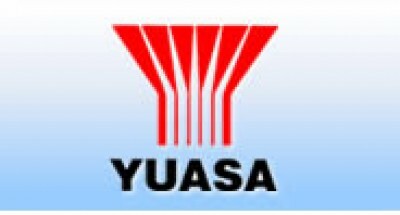 The shop will offer vehicle cleaning services that include wash, wax, shampoo and deep cleaning. 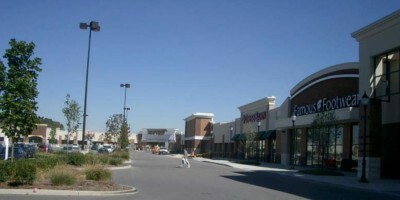 Accents by Design, a new boutique mall, opened a 3,300 square-foot retail center at 9650 Cincinnati-Columbus Road/SR42. 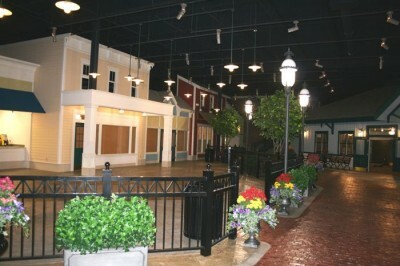 The unique mall will feature as many as eight vendors selling home décor, jewelry, purses, Christmas decorations, and more. 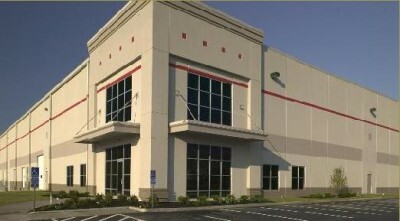 A national provider of fulfillment services to Fortune 1000 companies in consumer products, pharmaceuticals, financial services, publishing, and paper, announced the relocation of its existing West Chester operation to a new 264,000-square-foot space at 6023 Union Centre Boulevard in Duke Realty’s new 480,000-square-foot Union Centre Industrial Park building. 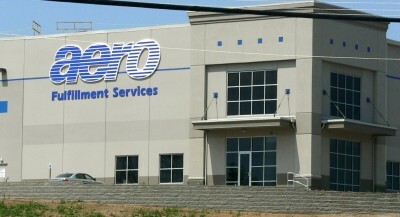 Aero Fulfillment has 70 employees and plans to hire an additional 25 employees. 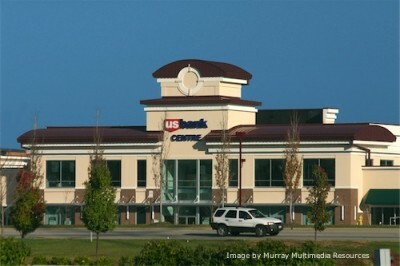 specializing in Mediterranean and American cuisine, announced it will open a 2,244 square foot restaurant at 9344 Union Centre Boulevard in the US Bank Centre at West Chester Towne Centre (Union Centre District). Amerimed, specializing in pharmaceutical distribution, relocated and expanded its existing West Chester business to an 11,640 square-foot facility at 9961 Cincinnati-Dayton Road in Schumacher Commerce Park (Union Centre/Downtown district). Amerimed has 30 employees. re-manufacture of remote controls for the cable industry, opened a 6,000 square foot facility at 5146 Duff Drive off Princeton-Glendale Road/SR747. ASC of Cincinnati has 12 employees. A modern Asian cuisine restaurant in a contemporary Zen setting, was announced by renowned Chef Peng Looi. The 8,257-square-foot stand-alone restaurant will be located at 9228 Centre Pointe Drive in the West Chester Towne Centre (Union Centre district). Asiatique Bistro is slated for completion November 2008 and will open with approximately 150 employees. A national organization providing around-the-clock production, installation, product sales and services for commercial dish machines, relocated its existing West Chester company to a 4,000-square-foot facility at 9856 Windisch Road in First Park West Chester by First Industrial Realty Trust. Auto-Chlor has 5 employees. Barnes Group, an international aerospace and industrial components manufacturer, announced it will invest $4 million in additional equipment at its 9826 Crescent Park Drive facility in Schumacher Commerce Park (Union Centre/Downtown district). Barnes Group has more than 300 employees at this facility and will create 50 more jobs over the next 3 years. Barnes’ West Chester campus specializes in lever arms, honeycomb seals, honeycomb shrouds, heat shields and machined stamped parts. BT Graphics, graphic design firm, announced in February 2005 it will relocate its existing West Chester business to a new 1,450-square-foot location at 6939 Tylersville Road at Cincinnati-Dayton Road west of Interstate 75. 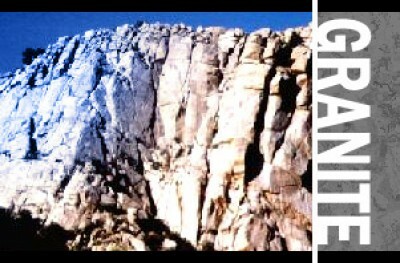 Builtmore Granite Cabinetry & Floors specializes in the sales, service and installation of custom cabinetry. Builtmore opened in 2008 with a 3,000 square foot showroom and additional 7,000 square foot warehouse stocking all of the latest cabinets and flooring designs. Builtmore has approximately 9 employees. Butler Technology and Career Development Schools announced plans for a new bio-medical high school in West Chester Township. The campus will be located on a 24-acre site near the southwest corner of Cincinnati-Dayton Road and I-75 (Midtown district). This facility will house Greentree Health Science Academy, Butler Tech Online offices, and an adult education component. Greentree is a program for students wishing to earn an Associate’s and/or Bachelor’s Degree in a medical related field after high school. Course work at the Academy introduces students to imaging technology, laboratory, medical technology, nursing, operating room, pharmacy, physical, occupational, and respiratory therapy. 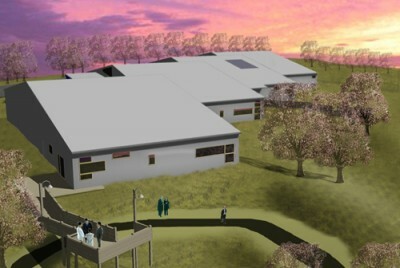 The time frame for construction of the school is three to five years. Butler Tech expects to serve up to 400 students at this facility. 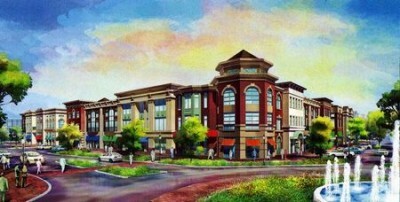 Centre Park of West Chester, a mixed-use commercial development announced by HiFive Development Services. The 29-acre site on Union Centre Boulevard east of I-75 will fly the flags of both Hilton and Hyatt hotels with additional restaurants and retailers on the five outlots. HiFive will break ground Summer 2008 with completion slated for 2009.
a total turn-key operation for commercial swimming pools providing chemicals, services and lifeguards, announced it relocated and expanded its existing West Chester business to an 8,000 square foot facility at 10160 International Boulevard in World Park. 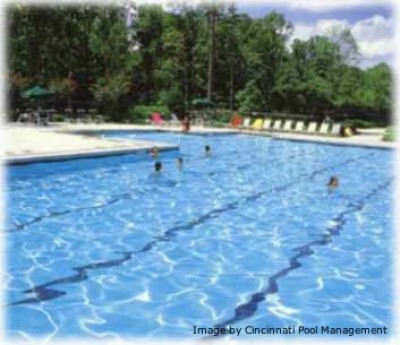 Cincinnati Pool is now open at its new location with 25 full-time employees and 400 seasonal employees. Contempo Hair Design, a full service hair salon, opened a new 1,000 square-foot facility at 9619 Cincinnati-Columbus Road/SR42 near Dimmick Road. Contingent Network Services, a national IT services company specializing in a wide array of information technology services focused primarily on design, deployment and support of WAN and LAN infrastructure, announced it will relocate and expand its existing West Chester business. Contingent broke ground on its new 50,000 square-foot corporate headquarters at 4370 Port Union Road west of Princeton-Glendale Road/SR747. This $3.5 million project, located on an 18-acre development called the Eco-Tech Park, will be the tri-state’s first ‘green’ office park featuring environmentally friendly solar electricity, recycled building materials, extensive natural lighting, and an irrigation system using reclaimed water. Contingent has approximately 80 employees. Additional acreage is available for further ‘green’ developments. A national remanufacturer and distributor of torque converters, relocated to a 4,853-square-foot facility at 9908 Windisch Road in First Park West Chester by First Industrial Realty Trust. An authentic Irish pub, will open a new 4,960-square-foot restaurant and pub at 9102 Towne Centre Drive in the Towne Centre Square. The entire pub was built in Ireland from man-made natural resources and shipped directly to West Chester. Dingle House is slated to open August 2008. Dwyer Companies, specializing in commercial and residential foundation repair, waterproofing, soil stabilization and concrete lifting, announced a 34,170 square foot expansion across from its existing facility at 6083 Schumacher Park Drive in Schumacher Commerce Park. Dwyer has approximately 60 employees. A full-service plumbing company, announced it will build a new 9,600-square-foot building at 2752 East Crescentville Road. Elliott & Bradley Plumbing is slated to open at its new location Fall 2008. 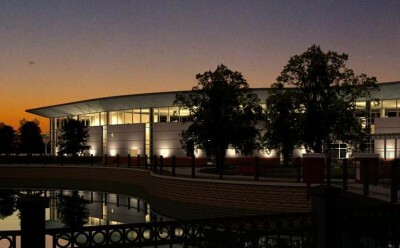 The world’s only Railroad-themed family entertainment center, announced it will celebrate the grand opening of its new 80,000-square-foot, $10M facility on August 1, 2008. At the EnterTRAINment Junction, you can visit the railroad museum, explore the Imagination Junction children’s play area, visit the train expo center, and book a party or banquet. Ethan Allen, a total home furnishings resource, announced it will relocate its existing West Chester warehouse/distribution facility to a 45,112 square foot building at 4520 LeSaint Court off Port Union Road. Ethan Allen is slated to open at its new location late May 2008 with approximately 7 employees. specializing in auto, home, life and business insurance, opened a 1,470 square foot office at 8231 Cincinnati-Dayton Road across from the Highlands development west of I-75. Specializing in the manufacture, design and distribution of fireplaces, stoves, inserts, mantels and more, announced it will expand and relocate its existing West Chester business to a 5,900-square-foot design showroom at 10025 Princeton-Glendale Road/SR747. Fireside Hearth & Home has 15 employees. Fitness Store (The), offering state-of-the-art fitness equipment with full lines of residential and commercial models, opened a 4,805 square-foot fitness facility at 7580 Cox Lane in The Marketplace at University Pointe (VOA/Uptown district). This is Fitness Store’s 17th regional location staffed with professional fitness consultants and certified service technicians. Focal Pointe Eye Care, a leader in optometric care, opened a 2,676 square-foot full-service eye care office at 7760 University Court Drive in the University Pointe Medical Campus, the heart of West Chester’s medical community (VOA/Uptown district). Dr. Michael Lyon’s provides a full array of treatment services for all ages, including glaucoma management, orthokeratology, dry eye treatment, diabetic examinations, specialty contact lenses, and an extensive line of high fashion eyewear. Frost Brown Todd, a full-service law firm with nearly 400 lawyers in over 50 specialty practice areas with offices in Ohio, Kentucky, Tennessee, Indiana, and West Virginia, announced it will open a new 10,123 square-foot law office at 9277 Centre Pointe Drive in Duke Realty’s Centre Pointe Office Park (Union Centre/Downtown district). The facility will initially house 12 attorneys and include a conference center. This office will also serve as the specific location of the firm’s rapidly growing Ohio Governmental Practice Group. Frost Brown Todd is slated to open its new facility January 2009. GE Aviation, the world’s leading producer of large and small jet engines for commercial and military aircraft, announced a $55 million project that includes construction of two 210,000 square-foot office buildings. Construction is under way by Duke Realty at the northeast corner of Union Centre Boulevard and Cincinnati-Dayton Road (Union Centre/Downtown district). The four-story buildings are Phase I of the GE Aviation campus/North Pointe at Union Centre with 1,400 employees. The development will grow to a four-building office complex totaling more than 800,000 square feet. GE Aviation will begin occupying the first building in October 2009. Both buildings will be completely occupied by March 2010. Visit www.geae.com or www.dukerealty.com for more information. Good Samaritan Physical Therapy at Union Centre, a division of the Tri-Health non-profit hospital system, opened a 3,428 square foot medical office at 8748 Union Centre Boulevard. Good Samaritan Physical Therapy at Union Centre is a physical therapy outpatient orthopedic clinic that performs physical therapy evaluations and develops individualized treatment programs based on the patient's needs. 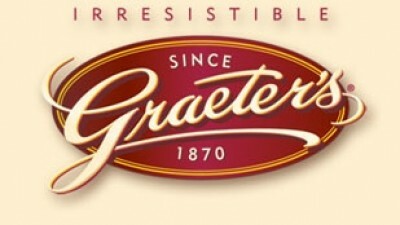 one of the oldest family-owned ice cream makers in the country, will open a 3,200 square foot store on April 4th at 7651 Cox Lane in The Shops at University Pointe, a new 20,000 square feet retail center in the University Pointe campus off Cox Road. Serving authentic Mexican cuisine, announced it opened a 6,050-square-foot restaurant early July 2008 at 9229 Floer Drive in Union Centre Retail Plaza by Schumacher Dugan Construction. Graydon Head & Ritchey, LLP, attorneys at law, announced a 3,000 square-foot expansion to its Butler/Warren offices at 7759 University Drive in University Pointe (VOA/Uptown district). The expansion will include the addition of five offices, a larger conference room and a new reception area. Halal Market, an international market, relocated and expanded its existing West Chester business to a new 5,406 square-foot facility at 7755 Tylers Place Boulevard off Tylersville Road west of Interstate 75 (VOA/Uptown district). Halal Market also announced a new restaurant and bakery will be coming soon. A full-service insurance and financial services firm serving both individuals and corporate clients in the tri-state region, announced a 2,000-square-foot expansion to its existing West Chester facility at 8756 Union Centre Boulevard in Lakota West Professional Building. a full-service salon, announced it will open a 1,028 square foot facility at 4750 Port Union Road west of Princeton-Glendale/SR747. 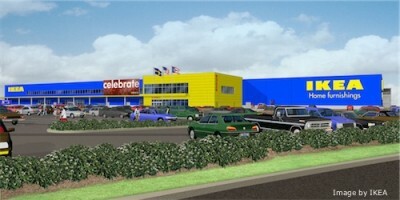 is now open at 9500 IKEA Way off Muhlhauser Road in the Union Centre district. A full-service agency providing supported living and day services to disabled individuals from youths to seniors, opened a 4,500-square-foot facility at 5900 West Chester Road (Union Centre district). Specializing in continuous cast iron and bronze, structural tubing, TGP shafting and stainless steel tubing, announced a 13,000-square-foot expansion to its existing West Chester facility at 9911 Crescent Park Drive in Schumacher Commerce Park. a social media company operating prominent online communities for technology professionals and technology enthusiasts worldwide, will relocate to a new 5,500-square-foot office at 9100 Towne Centre Drive in the Towne Centre Square. 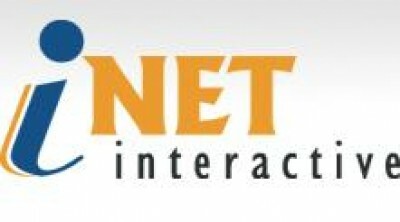 iNET Interactive is slated to open mid-July 2008. Specializing in the design and installation of telecommunications cabling systems, opened a 5,200-square-foot facility at 9786 Windisch Road in First Park West Chester by First Industrial Realty Trust. Jacobs Telephone has 10 employees. A division of Wulco, Inc. specializing in fabrication, prototype machining, production machinery, M.I.G and T.I.G. welding and advanced assembly, opened an 18,148-square-foot facility at 9676 Inter Ocean Drive south of Muhlhauser Road. 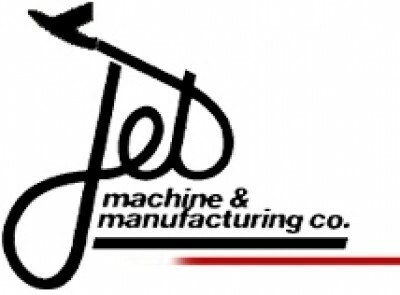 Jet Machine has approximately 15 employees. Jimmy John’s Restaurant, specializing in gourmet sandwiches and subs, announced it will open a 1,676 square foot restaurant at 7667 Cox Lane in The Shops at University Pointe alongside Graeter’s Ice Cream and Dewey’s Pizza. Jimmy John’s is slated to open late May 2008 and will offer catering and drive-thru services. A full-service industrial robot shop offering customers a single source for robotic sales, service, parts, programming, installation, tooling, systems integration, and industrial automation, announced a 6,140-square-foot expansion to its existing West Chester facility at 9000 LeSaint Drive south of Port Union Road. KC Robotics has 15 employees. Kimberly-Clark, a leading global health and hygiene company providing products and solutions in family and personal care industries, opened a 10,650 square foot sales office at 9277 Centre Pointe Drive in Duke Realty’s Centre Pointe Office Park (Union Centre District). Kimberly-Clark has operations in 37 countries and employs 55,000 worldwide. 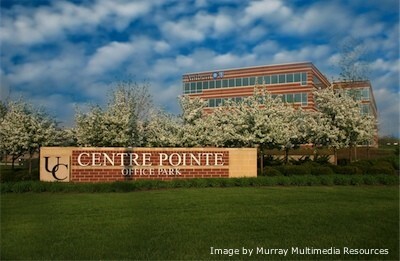 The Centre Pointe sales office will house 22 employees. A family-owned and operated developmental daycare facility, announced it will build a new 10,520-square-foot stand-alone facility at 8178 Highland Pointe Drive in Neyer Properties’ Highlands development at Cincinnati-Dayton Road and I-75. 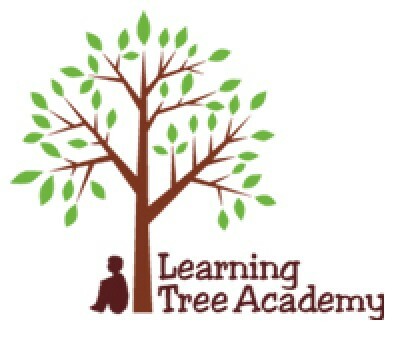 The Learning Tree Academy is slated to open November 2008 with up to 27 employees. A not-for-profit social service agency dedicated to improving the quality of lives throughout Butler and Warren counties, opened a satellite office at 8875 Cincinnati-Dayton Road in Olde West Chester. 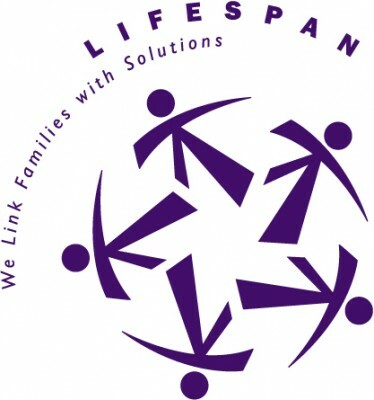 LifeSpan offers elderly service program case management, guardianship, benefit advocacy, home care services and in-home behavioral health services. Lighting EFX, a family-owned business specializing in providing unique lighting designs, announced it will open a 3,600 square foot facility at 7714 Voice of America Centre Drive in the Voice of America Centre at Cox and Tylersville Roads. Lighting EFX is slated to open mid-April 2008. 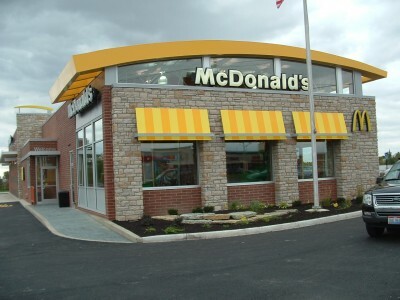 McDonald's Corporation, global foodservice retailer, announced it will construct a new 6,166 square-foot restaurant at 7679 Doc Drive in Tylersville Farm across from its long-time West Chester restaurant on Tylersville near Interstate 75 (VOA/Uptown district). A healthy alternative to your morning breakfast meals, announced it will open a 1,600-square-foot restaurant at 7671 Voice of America Centre Drive in the VOA Centre at Cox and Tylersville Roads. Mix It Up Cereal Café is slated to open early July 2008 and will offer a wide variety of cereals, toppings, fresh and dried fruits, oatmeal, smoothies, bakery items, along with serving soups and sandwiches all day long. An indoor miniature golf and party center, announced a new 10,000-square-foot glow-in-the-dark recreation facility at 7058 Ridgetop Drive adjacent to FitWorks in Neyer Properties’ Highlands development at Cincinnati-Dayton Road and I-75. The Monster Golf center is equipped with a state-of-the-art game room, live DJ, and is available for private, corporate, field trips and other events. Monster Golf is slated to open late August 2008. 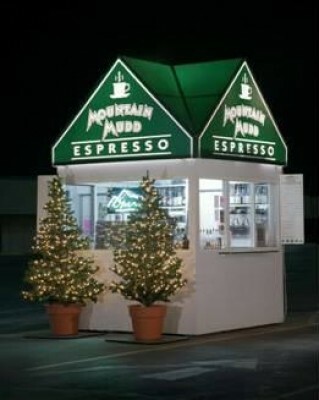 Mountain Mudd, offering oak-roasted coffee that follows in the Italian tradition of a master roaster who slowly roasts each bean variety separately before blending them, is now operating from a convenient double-windowed kiosk located at 9157 Cincinnati-Columbus Road near the intersection of Route 42 and Cox Road. Mountain Mudd is open with a friendly barista ready to serve you a great tasting gourmet specialty drink. A local civil engineering and land surveying firm, has expanded and relocated its existing West Chester business to a new location at 8857 Cincinnati-Dayton Road in Olde West Chester. 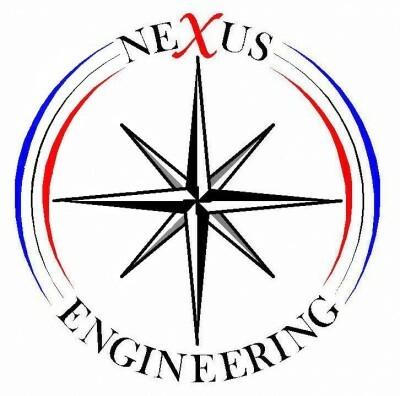 Nexus Engineering is a professional service company who has made a significant contribution to development in the Union Centre district. 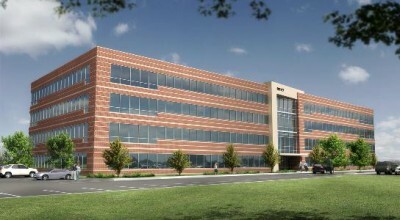 Nu-Tech Polymers, specializing in the manufacturing of commodity and engineering plastic feed stocks for the plastics industry as well as the storage and distribution of functional chemicals for major chemical companies, relocated its existing West Chester corporate headquarters to a 33,823 square foot facility at 10087 International Boulevard in World Park. Nu-Tech has 8 employees. Oberer's Flowers, a full-service, family-owned florist, opened a 2,940 square-foot retail facility at 7675 Cox Lane in University Pointe (VOA/Uptown district). Office Suites Plus, a provider of full-service office suites and virtual offices, opened a 17,574 square-foot center at 9075 Centre Pointe Drive in Centre Pointe Office Park (Union Centre/Downtown district). Office Suites Plus is a one-stop source for corporations and individual professionals seeking a flexible solution to traditional office space, offering a professional image, furnished office space, personalized telephone answering, access to all Office Suites Plus locations. Specializing in computer repairs, upgrades, networking, and virus/malware removal, opened an office at 9452 Cincinnati-Columbus Road/SR42 in the State Farm Building north of Dimmick Road. Port Union Commerce Park, a 546,000 square foot industrial building announced by Dividend Capital Industrial Trust, a real estate developer specializing in the ownership, acquisition, development and management of bulk distribution and light industrial properties across the country. 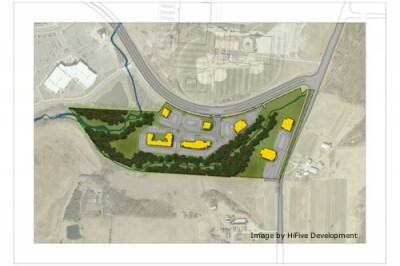 The facility will be located at 4300 Port Union Road west of Princeton-Glendale Road/SR747. Schumacher Dugan Construction is the project manager for this development. The building is slated for completion Summer 2008, with pre-leasing occurring now. Premium Blendz Hair Care, offering premium hair services for men, announced it will open a new 1,182 square-foot hair care facility at 8647 Cincinnati-Columbus Road/SR42 north of Cox Road in West Chester Office Park. Premium Blendz is slated to open first quarter 2009. A global Fortune 300 company that supplies atmospheric, process and specialty gases, high-performance coatings, and related services and technologies, opened a 4,000-square-foot facility at 9848 Windisch Road in First Park West Chester by First Industrial Realty Trust. Rapid Quality Manufacturing (RQM), a sister company of Morris Technologies, opened North America’s first production-focused company for additive metal fabrication parts using DMLS and other additive fabrication technologies. The 17,000 square foot facility at 5223 Muhlhauser Road in The Pointe at Union Centre supports the aerospace, medical and dental industries. Residence Inn by Marriott is now open at 6240 Muhlhauser Road in West Chester Towne Centre (Union Centre/Downtown district). Residence Inn features suites with one or two bedrooms and studio units each with a fully equipped kitchen, high-speed internet and more. This 100-suite hotel offers an indoor pool, fitness center, breakfast included in rates, evening social events and pets are welcome. Residence Inn has approximately 25 employees. Rice Rocket, full-service Asian grill, opened a 1,639 square-foot restaurant at 9220 Allen Road along side Tazza Mia (Union Centre/Downtown district). RightSourceRx, Humana’s prescription home delivery service providing for convenience, cost savings, and accuracy delivering prescriptions right to your door, announced it will open a 140,000 square-foot mail order pharmacy call center and distribution facility in West Chester’s Union Centre/Downtown district. RightSourceRx will open with 335 employees and expects to grow to 400 in the next two years. Specializing in custom granite products for kitchens, baths and more, opened a new 16,038-square-foot showroom facility at 5637 Union Centre Drive in the Union Centre downtown district. Rock Tops has 10 employees. The world’s largest publisher and distributor of children’s books and a leader in educational technology and children’s media, announced a 73,815-square-foot expansion to its existing West Chester facility at 5453 West Chester Road in Duke Realty’s World Park at Union Centre. 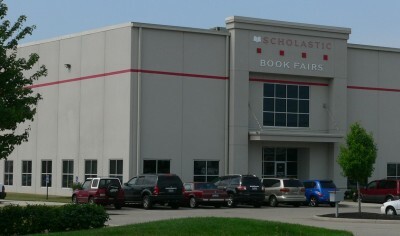 Scholastic Book Fairs will add 45 new positions as a result of this expansion to bring their total full and part time employment to 225. 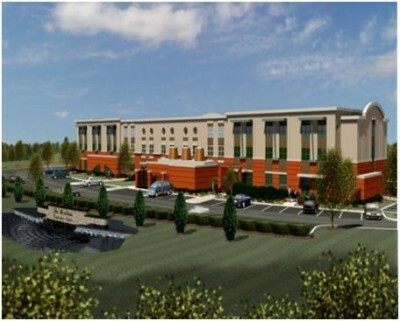 A new 20-lane upscale bowling lounge, was announced by Murrey International. The 14,901-square-foot facility will be located at 7844 Kingland Drive off Tylersville Road east of I-75. 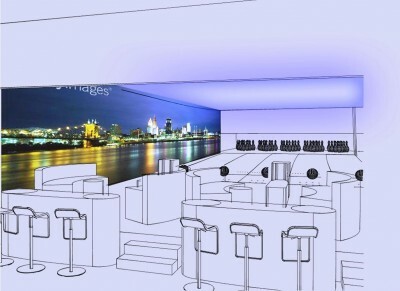 Scores & Strikes is slated to open October 2008 with a full-service lounge, game room and more. Shelia's New Beginnings, a full-service hair salon with 20 years experience in creating designs, opened a 1,000 square-foot salon at 8816 Cincinnati-Columbus Road/SR42 north of Cox Road. Shelia’s offers cuts, color, perms, manicures and more. Simulia, providing consulting and training services for engineering firms in finite element analysis, heat transfer, and more, opened a 3,700 square-foot office at 9075 Centre Pointe Drive in Duke Realty’s Centre Pointe Office Park (Union Centre/Downtown district). This is Simulia’s central region branch office and will house approximately 12 employees. 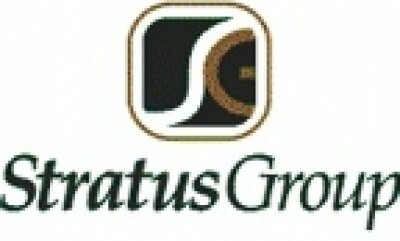 Stratus Group, Inc., continues its unprecedented growth in the folding carton and pressure sensitive label industry. Stratus Group is moving its corporate office and the balance of their manufacturing operations into an additional 30,000 square foot facility at 8710 Global Way in West Chester. This new space adjoins their existing 55,000 square feet manufacturing facility on Global Way. Stratus Group has over 100 employees providing both paperboard packaging and pressure sensitive labels for pharmaceutical, health and beauty and the beverage markets. Systecon, a developer and manufacturer of custom pumping and control systems for HVAC waters systems, announced a 50,000 square foot expansion to its existing West Chester facility at 6121 Schumacher Park Drive in Schumacher Commerce Park. Systecon takes pride in developing new technologies in water management that save customers time, facility space and installation costs. Systecon will employ nearly 100 with the completion of this $2M project. Specializing in filtration management products and services, announced it will relocate its existing West Chester business to a 3,062-square-foot facility at 4578 Muhlhauser Road in NorthPark Business Center. TFS is slated to open at its new location early July 2008 with 10 employees. A full-service senior adult day program for families with aging parents, announced it will open a 9,000-square-foot facility at 7786 Service Center Drive in Beacon Pointe off Cox Road. This alternative to home or assisted living care offers a complete dining room, movie theatre, activities, transportation services, and more. Charleston Club at West Chester open July 17th and is certified and licensed through the Ohio Medicaid program. A specialty boutique offering hands-on educational cooking classes, announced it will open a 1,750-square-foot facility at 9276 Centre Pointe Drive in the Towne Centre Square. The Learning Kitchen opened mid-July 2008. A new convenience store, opened a 3,500-square-foot facility at 9609 Cincinnati-Columbus Road/SR42 at Dimmick Road. A new 75,000-square-foot office and retail building in West Chester's downtown district. Specializing in custom design wedding invitations, birth announcements, and business cards, along with a unique collection of specialty greeting cards and gifts, announced it will open a 1,728-square-foot facility at 7610 Cox Lane in The Marketplace at University Pointe (VOA uptown district). Tuella Fine Paper opened July 2008. A new 70,000-square-foot retail center was announced by Midland Atlantic. LA Fitness will anchor this development with a 42,000-square-foot fitness facility. The center will be located at 7680 Tylersville Road just east of I-75 on the former Dudley Farm property. 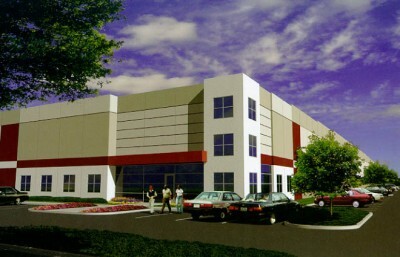 Union Centre Industrial Park, a new 480,000 square foot industrial building announced by Duke Realty Corporation at 6025 Union Centre Boulevard west of Princeton-Glendale Road/SR747. The building is slated for completion June 2008. Duke Realty is now pre-leasing with 180,000 square feet remaining available. 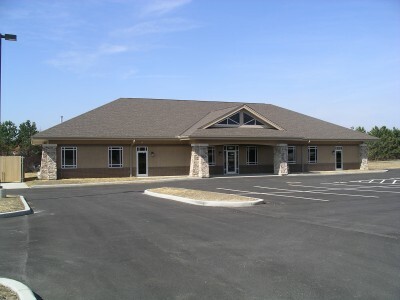 comprehensive financial services company offering retirement, estate, and investment planning services, relocated to a 1,099 square foot facility at 4932 Wunnenberg Way north of Union Centre Boulevard. Ventek, a leading provider of innovative sensing and safety solutions for customers in the manufacturing, factory automation, material processing and medication information management device industries, announced it relocated and expanded its existing West Chester business to a 4,750 square-foot facility at 9808 Windisch Road off Allen Road (Union Centre/Downtown district). Ventek has 10 employees. Walgreens District Office, announced it will consolidate multiple local offices and relocate the region’s district office to a 10,768 square-foot professional facility at 8800 Beckett Road in Chappell Crossing at Union Centre (Union Centre/Downtown district). This office will house 25 employees and include a 150-seat conference center to be used for district meetings. A new 50,000-square-foot branch library is under construction at 9363 Centre Pointe Drive in the West Chester Towne Centre (Union Centre district) adjacent to The Square. West Chester Library will be a focal point of downtown West Chester and will feature community meeting rooms, quiet reading spaces, wireless technology with more than 50 internet stations, an outdoor patio area overlooking the lake, and a large children’s area. 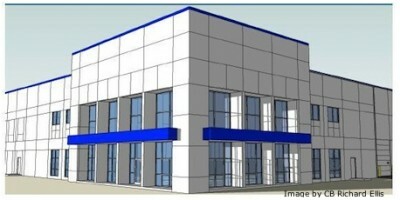 The $12M project is slated for completion early 2009.
a wholesale distributor of computer components and systems, relocated to a 6,000 square foot facility at 5321 Muhlhauser Road in The Pointe at Union Centre. Winotek has 8 employees. Providing copy, print, scan and fax solutions, as well as document storage/retrieval, cost recovery/control and document management services, announced it relocated and expanded its existing West Chester business to a 1,200-square-foot facility at 5900 West Chester Road (Union Centre District). Woodhull has 5 employees. WorkflowOne, providers of print and promotional marketing services, announced a 2,975 square-foot expansion to its existing West Chester facility at 8808 Beckett Road in Chappell Crossing at Union Centre (Union Centre/Downtown district). Wyeth Consumer Healthcare, a leader in the research, development, manufacturing, and marketing of a broad range of consumer health care products, announced it will open an 11,820 square-foot research and development facility at 9878 Windisch Road in Union Commerce Centre off Allen Road (Union Centre/Downtown district). Wyeth will have approximately 15 employees at this location. Offering professional beauty salon services, opened a 1,008-square-foot facility at 8266 Princeton-Glendale in Beckett Square Plaza. meet the diverse needs of working professionals. Xavier will begin classes at its West Chester campus July 2008. Yellow Cab Pizza Co., specializing in New York style pizzas, opened a 1,080 square-foot restaurant at 9220 Allen Road along side Tazza Mia and Rice Rocket (Union Centre/Downtown district). A Japanese-based company specializing in CNC rotary products, milling machine accessories, grinding products, CNC turning centers and specialized automatic machines designed to customer specifications, opened a new 4,000-square-foot showroom/warehouse at 5233 Muhlhauser Road in The Pointe at Union Centre.